Unfortunately, I don’t really care about the Commander 2015 spoilers, except for the fact that Necrotic Ooze dodged yet another reprint opportunity. I love both of the new Golgari commanders, because they give me an overabundance of options for my favorite queen of life and death. Honestly, I’m surprised that she didn’t make it into the deck herself. Now you see, this is the kind of thing I was trying to avoid. You don’t give a damn about me talking about Commander 2015; that’s Jason’s job. I can’t talk about Standard, because I don’t care enough about the format to pay attention. Grinder finance is Jim’s area of expertise. My niche in our arsenal of writers is collection buying, and I think there’s only so much I can say before I start to repeat myself to death. Whatever. I’ll just wing it this week, and see what comes out. There’s got to be at least some relevant info in here for someone. I do enjoy Pucatrade, I really do. However, I just have too much stuff constantly moving in and out of my collection to keep my haves list current. I think it would literally take me days just to piece together my current inventory as a have list, so I rarely (read: never) really send cards nowadays. 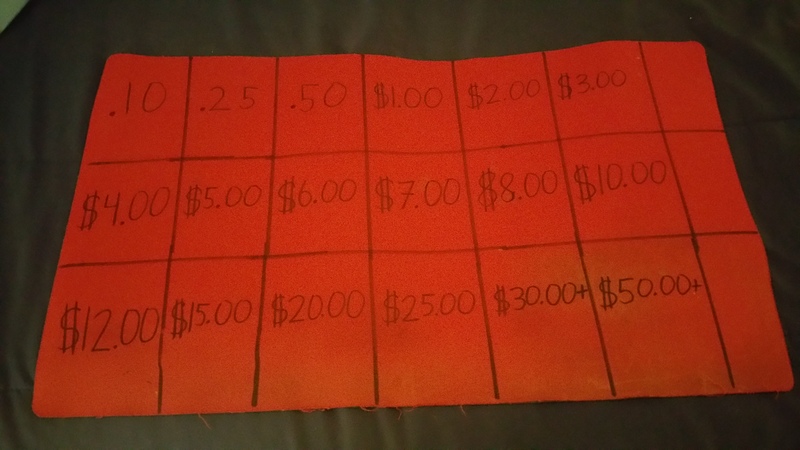 Instead, I’ve taken up the practice of buying points for $.70 on the dollar from Facebook groups and Twitter acquaintances. Due to the fact that I have a large Commander/non-competitive customer base in my area, every now and again, I get requests for certain cards that I don’t happen to have in my inventory. For whatever reason, some of these customers prefer to avoid buying cards online themselves. I appreciate that they would prefer to support a local business, because it works out well for me when they request to have me order cards for them. So, let’s say that I buy 2000 Puca Points for $14 from someone in a Facebook group focused on the buying and selling of Puca Points and other MTG currency. Then, local customer Jimmy texts me and asks, “Hey DJ, do you have any Wurmcoil Engines?” If I don’t happen to have any Wurmcoils, I’ll usually reply with something like this: “No, but I can order one for you using the trade credit I have on a website, and it would cost you $18. Is that okay?” I’m usually met with an affirmative answer of some kind, because who doesn’t like the convenience of someone else ordering your cards for you? 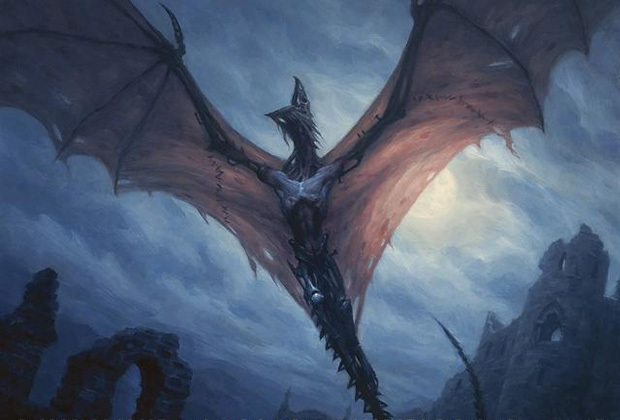 I then put the Wurmcoil on my want list, have it shipped to me at the cost of 1800 pucapoints, and get to turn those points into cash back at a 100-percent conversion rate. Now, your results will vary with this when it comes to more obscure cards. If someone asks me for a foil version of an older common or uncommon, or something that I know will take Puca forever to send me, then I’ll kindly let them down and tell them that I don’t think I’ll be able to get it with trade credit, but that I can order it off of TCGplayer or eBay for them, as long as I’m still making a couple dollars for my trouble. If you’re someone who doesn’t have the time to grind the Puca system by constantly sending out small cards and churning them into big cards, you might just be able to use it as a bridge to turn your 70 cents into a dollar, if you’re willing to wait and have a potential customer base waiting in the wings. I’m literally just looking around my desk/workstation and looking for things to write about at this point. 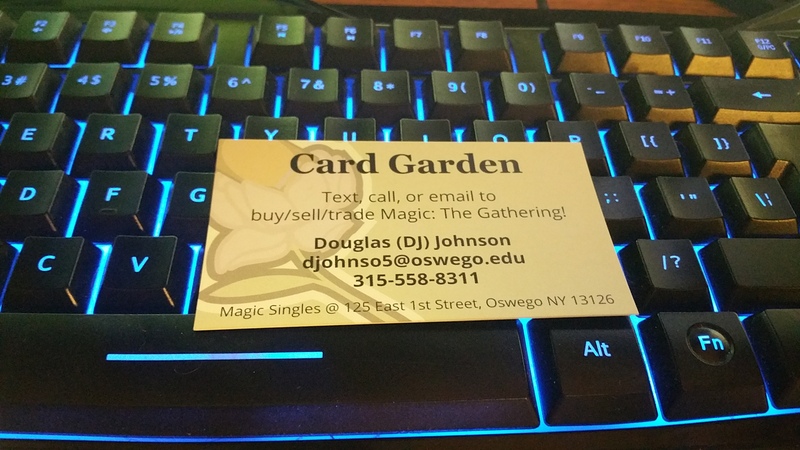 Actually, I don’t think I’ve ever brought up how useful having your own business cards can be, even if you don’t decide to turn Magic into a full-time trade. While I would never advocate whipping them out while in an LGS, they’re a cheap and professional way to maintain a customer base through Craigslist, word of mouth, and good, old social-media outlets. I personally use Vistaprint to make my cards. 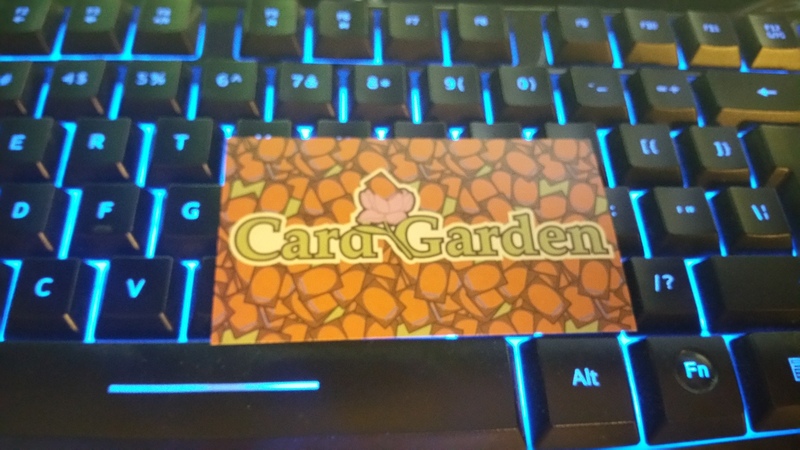 They were cheap (I paid $31 for 500 double-sided cards and used an existing logo/design, so they were only about six cents a piece), and the ordering process was very easy. The below pictures are the second version of business cards I’ve ordered, and you can get them even cheaper than that if you opt for a blank backside and take advantage of sales. The first time I ever ordered cards from Vistaprint, I took advantage of a “250 free sample cards” option and used a stock background, and they only charged me the $6 shipping. They still worked well enough to land me several collections back in the day, which made it all worthwhile. Shoutout to Tim Ano, a former classmate of mine who designed the awesome logo and background. I’ve found several ways to make sure that my lotus logo gets spread throughout the community. I tend to give them out after each Craigslist meetup, leave them in my display case for the store employees to distribute to anyone who asks about the cards in the case, and I personally like to include them in the envelope whenever I ship out cards to someone who’s semi-local on TCGplayer. I’ve actually gotten a text from someone who I once sold cards to through TCGplayer, and I ended up buying their collection because they only lived two hours from me. Here’s another tool that I use constantly, whenever I buy collections, or trade for other cards at less than retail. If you’ve ever been to a Grand Prix or dealt with someone who does what I do, this picture looks familiar. It makes buying lots of cards at buylist a simple breeze, and the mat is simple enough to make with only a sharpie and ruler. The same rules apply here as with the business cards: please do not bring this type of mat to the LGS without prior consent. If you can work out a deal with your shop owner so that you can buy cards for them or in their place, that’s great! Just be sure to make sure they get something out of the deal for sharing their space and customers. I’m actually in talks with my graphic designer friend Tim to try and get a customized design for a custom mat, which I will then order from InkedGaming.com. It will definitely look a lot more professional than the dirty and used mat above (to be fair, that’s my travel mat; I have a matching, yet cleaner one at the store). Would you rather sit down across someone with a mat like mine, or the one below? If you’d rather not spend a lot of money on a mat just to look fancy, though, that’s perfectly understandable. 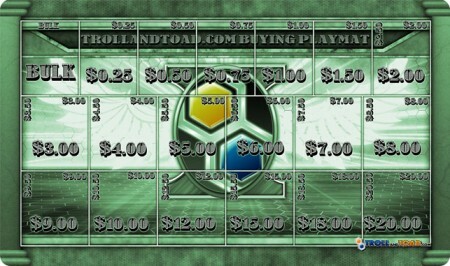 That’s money that could be spend buying cards at buylist prices! You can find brand new blank playmats on eBay for less than $8, and then take a sharpie and a ruler to it for free. Apparently there’s been some pretty funny controversy on how the Battle for Zendikar gift box is still sub-par quality compared to the Theros and Khans of Tarkir gift boxes. I really don’t care because my fiancee knows not to buy me Magic-related product for presents, but I would like to let everyone know that the Return to Ravnica boxes are actually of very good quality in my experience. 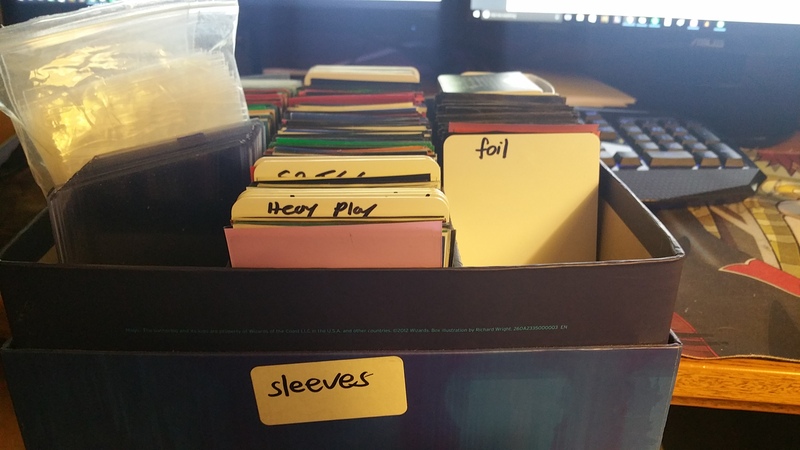 I use them reguarly to hold sleeves, toploaders, and other shipping supplies that I keep at my workstation. I’m not sure if they intentionally cut corners on these boxes or if it was just negligence, but if you’re someone who does like the style and size of the boxes to hold their collection, I recommend the RTR one. I mean, they can’t be that expensive…. Wait, what the hell? Someone bought a sealed RTR gift box for $90 over the summer? And ABU has sold them for $40? Uhh… I was going to suggest that you grab them for cheap from other players and save them if you pick up collections in them while you throw the THS and KTK ones to the curb, but damn. I didn’t think they’d be this expensive on eBay. I mean, does anyone actually have any of these things still sealed? Props to you, I guess. I got like three or four RTR gift boxes as a combination of birthday and Christmas presents three years ago, and I cracked them all for those sweet Dreg Manglers because I’m a Golgari member ’til death and beyond. If anyone reading this actually owns the sealed ones, throw them up on eBay and see who bites. Actually, this brings me to a good point on sealed product. If you’re eyeing the BFZ gift box and thinking “Man, I should totally buy this for $25 and then sit on it for three years, I’ll make a ton of money selling it later,” then let me correct you. Don’t do that. I’m assuming that the RTR one is selling at a premium due to a combination of being the only one study enough to stack on top of itself, plus the lack of print run from being the first of its kind. New generations of sealed product have always held a premium when they’re the first of their kind, just look at the original Commander, Planechase, and Duel Deck. Wizards doesn’t know how to anticipate what the demand will be, so they suddenly become scarce three years later. Anyway the point is not to buy the BFZ gift box if you’re looking for long-term profit. Hell, the Tolarian Community College professor suggests not to buy it at all if you’re looking for up-to-par box quality and good EV. Kabira Evangel is part of the reason I love bulk rares. Oh, I picked these up for a dime a piece two years ago? Now I can sell them for ten to twenty times that. There’s still time to do similar things with cards like Crucible of Fire, Heartless Summoning, and all of the new bulk rares from the new Commander set. You literally have nothing to lose. Eye of Ugin has managed to creep up by around 25 percent since Battle for Zendikar’s release, so there’s definitely real demand for the “old” Eldrazi cards. It’s up to you whether you sell at $4 or wait for a couple more dollars, but I’m always happy to find a buyer at full retail. I’m so glad you write for this wevsite even when you’ve got nothing to say and no problem proclaiming it. You’re a real asset to the team DJ. Huh, never really considered that. Good idea, thanks! Here at @DayTradeMTGO, we appreciate shameless self-promotion. Its a great tool in the new day of social media & free blog posts. I can smell your sarcasm. I think you missed the points here bub. He specifically said “I would never advocate whipping [business cards] out while in an LGS” and “please do not bring this type of mat to the LGS without prior consent.” L2read. So, you know… maybe get the eff out of here with that BS? Just wanted to stop by and say thanks for writing this. Others may hate but it was pretty good. How many collections have you picked up recently? Can you write more about the anatomy of a deal? Either way, it was a good article. Next time, I should hand out biz cards to craiglist ppl.